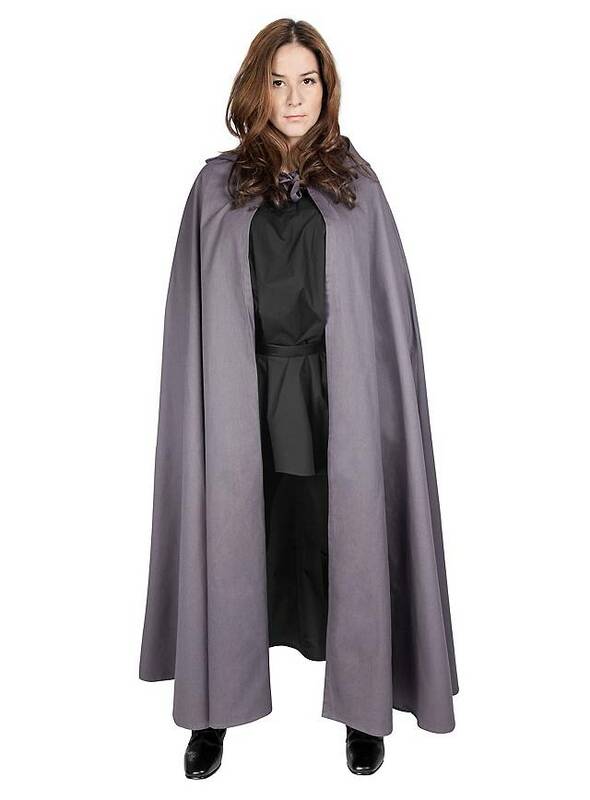 Simple cape with hood in gray, 100 percent cotton. Rugged and lightweight. Total length: approx. 125 cm. This simple, gray cape has a shoulder length of approx. 125 cm. A hood is attached to the high neckline and our simple cape ties at the throat. It is made of 100 percent cotton twill – the same fabric jeans are made of – and is rugged but lightweight enough that you will have plenty of freedom of movement during your adventures. Simple yet effective: you can thumb your nose at wind and weather, wrap yourself in an aura of mystery, or let this cape flutter dramatically in the wind. Our simple, gray cape with a hood is multi-faceted and elegant!